SEBASTIAN M. GLÜCK, President and Artistic & Tonal Director, earned degrees in Architecture and Historic Preservation from Columbia University, and studied organ with Jon Gillock. He is an active recitalist on both organ and baroque recorder, and is a respected writer and lecturer. His scholarly articles have been published in The American Organist, The Diapason, The Tracker, ISO Journal, and Journal of American Organbuilding, for which he has served as Editor. MR. GLÜCK HOLDS the Colleague's Certificate from the American Institute of Organbuilders, and is a member of the International Society of Organbuilders. He has served as National Councilor for Research and Publications of the Organ Historical Society, and has also served on its Guidelines for Restoration and Conservation Committee. 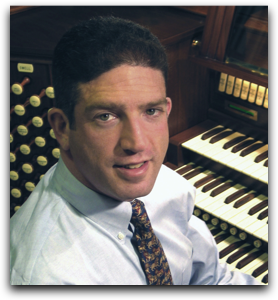 In 2007, he chaired the Region II Convention of the American Guild of Organists, for whom he has also served on the New York City Chapter Executive Board.